Leading Manufacturer of high low pressure hose, cement silo and ready mix concrete pumps from Thane. We are passionately engaged in providing an exclusive array of High Low Pressure Hose. By inculcating progressive technology and excellent quality raw material, our experienced professionals manufacture these hoses as per market quality standards. These hoses find wide application in construction work, road building and rock drilling applications. To meet the need of our clients, we provide these hoses in various sizes at industry leading within promised time frame. We are prominent manufacturer, trader supplier, engaged in offering a broad spectrum of Cement Silo. The offered cement silo is applicable in numerous engineering and pharmaceuticals industries for storing bulk material. 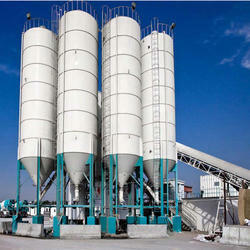 This cement silo is accessible in varied specifications so as to meet the demand of customers. Our cement silo is checked in terms of quality for delivering a flawless range. We are popular name in construction industry as our company is the provider of India''s first indigenous concrete pump.Our quality ready mix concrete pump finds application in grouting, plastering and concrete placing @ 15m3 hr. 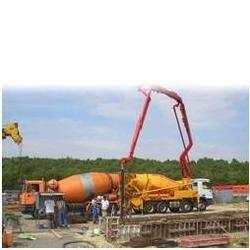 The ready mix concrete pumps with number of advantages is featured with high pressure. The ready mix concrete pumps is mounted on a framed chassis with pneumatic tires for easy mobility. Model Short creating pump is also a multi purposes pump used for plastering, grouting and pumping concrete.